I got the idea for this topic from another thread, the one about the Taps Building in Columbia. Having little experience of Columbia, other than the New Brooklyn Taver which I have been to a few times, I kinda took that thread off subject by mentioning some mills in Greenville being redeveloped in to condos and apartments. So, what are yall's oppinions on redevelopment, and what are some of the best examples of buildings in your areas that have been redeveloped for residential use. On of the best examples in the Greenville are is The Lofts at Mills Mill on Mills Ave. a few miles from downtown Greenville. But, a project like that probubly would never have happen if it were not for another. Just a few years ago condos in Greenville were pretty rare, but a few developers took some chances on a Church's educational building and turned them in to Condo's, The Court Street Condos. 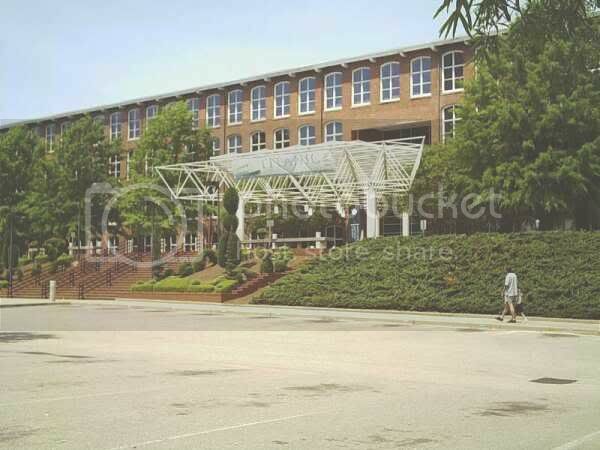 The success of this building led to the creation of Poinsett Corners and the many other new condo projects in Greenville. One of these new projects is one of my favorite examples of redeveloping structures for residential use. It is common in Boston with old Catholic Churchs. It is The Hamptons in the Hampton-Pinkney Historic Distric of Downtown Greenville. This Church being converted is a old Pentacostal Church, but recently the Contral Baptist Church in this same part of town was purchased by developers and has been rezoned PD-R for a Planned Development Residential to be converted to condos as well. And it is more beautiful becuase it has some large stained glass windows. Unfortunatly they don't have a picture that I can post here, but if you check out the site they do have a little flash image that shows what the structure looks like. They are turning a Church in to 2 townhouses, 2 lofts and 2 condos. I really like the floor plan on the Lefts, but I can't afford $200/ square foot. So what are some good examples of this in the areas you live. I like this it's creative! Let's see there's Whaley's Mills, and the Tapp's building, another mill down near Olympia is being converted into lofts, Also of course the Publix Grocery store that used to be the old confederate printing plant, there's that building on Main that's a bakery with lofts in it now, and down near the Vista there is another building that's being converted into apartments/ lofts, the State Museum, and pretty much the majority of the Vista was once an old warehouse district that has been converted into bars/restaurants, shops, a museum, and night clubs, that's all I can think of right of hand but I'll be back with more if no one else has posted. 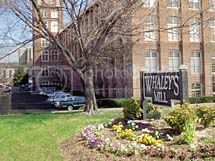 Here is a article from I think last week that mentions plans to convert to Monaghan mill in Greenville to Apartments, but with more ammenities than the Lofts at Mills Mill. This article mentions that they also plan on converting mills in Spartanburg and Clemson to residential. Think link has a bunch of pictures on the Monaghan Mill. Another great article on Monghan Mill and other Redevelopement Project was in GSA Business. This article mentions some mills being taken apart for building marterials as well. 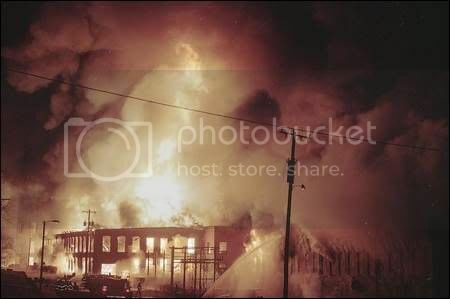 That is happening to the Victor Mill in Greer, SC. IT is being taken aprt peice by peice to recycle the brick and timber. Awesome. I don't have time to post much now, but I will soon. Adaptive reuse is one of my favorite architecture-related topics. Good thread!! Let's see there's Whaley's Mills, and the Tapp's building, another mill down near Olympia is being converted into lofts, Also of course the Publix Grocery store that used to be the old confederate printing plant, there's that building on Main that's a bakery with lofts in it now, and down near the Vista there is another building that's being converted into apartments/ lofts, that's all I can think of right of hand but I'll be back with more if no one else has posted. I think both Granby Mill and Olympia Mill are being fixed up. Granby for sure. This is the only image of Granby I could turn up- its cool to see these spires from far off. Couldn't find Olympia. It isn't quiate ad grand as Granby though. 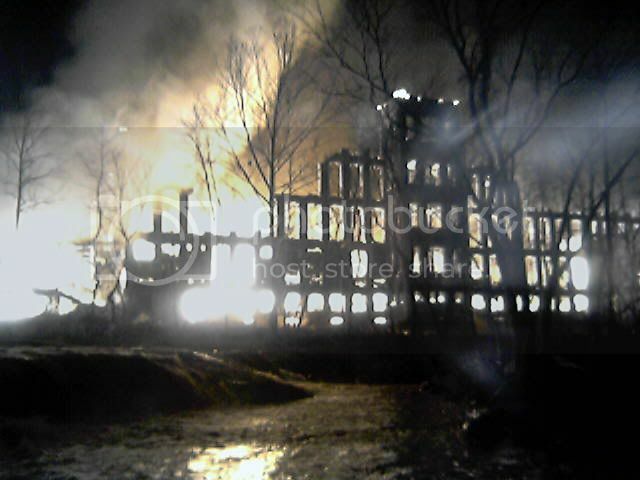 The one that burned was the Glendale Mill. I live sorta near there. 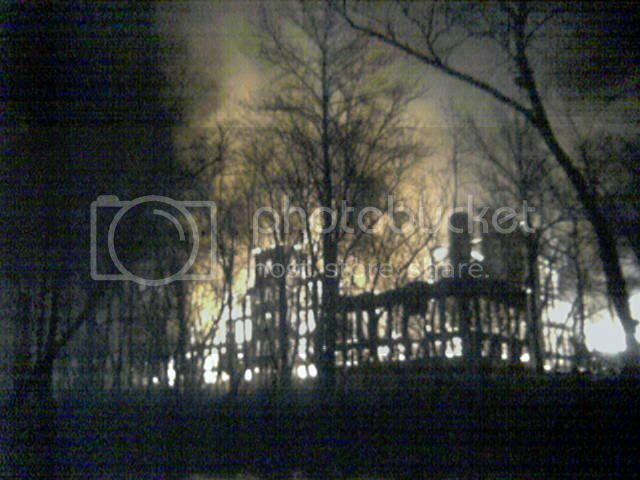 I have a few pics of it burning. It was a hell of a fire. I knew they were planning to put apartments/condos there. In fact, I have heard that they are still considering rebuilding. The site has been cleared of rubble, but the towers were left standing. I'm not sure where the other one could be. There are mills all over that haven't been torn down. Most of the ones near Spartanburg have been though. That's it Granby I could think of it off the top of my head. It looks good though can't wait to see it fixed up! 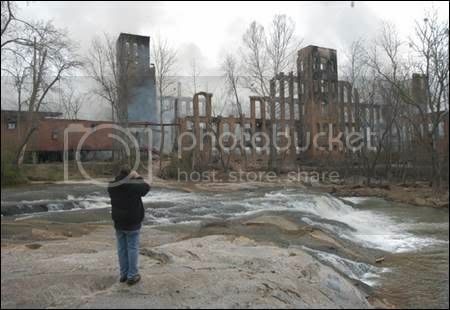 That mill in Spartanburg looks like it will be prime property once it's fixed up. I like that little stream running by it. EDIT: There are some great models there to look to if Adluh ever closes. Wow, those are some cool looking buildings. I think I like seeing old buildings redeveloped than big shiney new buildings. 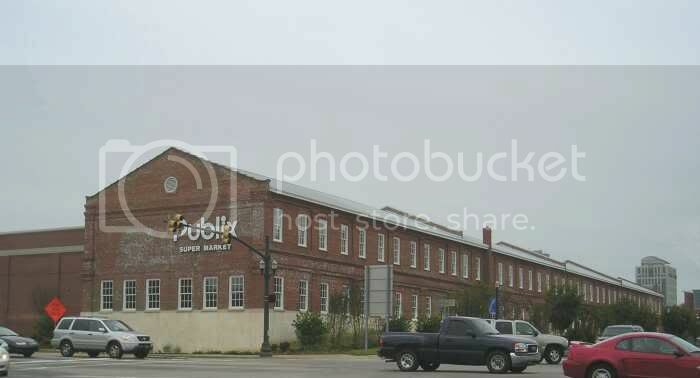 I know of at least one Mill in Spartanburg that still stands, and it is for sale actually, it is the Converse Mill. Anyone have $1.2 million? Wow I didn't know that Converse was for sale. Pacolet might have one left. I know they tore the big one down. I'm not sure, but I think Startex is still there. There are alot more mills around, and I'm less familiar with the ones in the Duncan area. This list is certainly not comprehensive. There are more than these. There is a book about this somewhere. I'll see if I can dig up the info later on. Recently CDS Ensembles shut down the Apalache Mill is Greer. I have heard from the employess that it has shut down for good. But I called the President or CEO or what ever his title is over there and asked a few weeks back and says the closure in temporary. The Apalache Mill is notable becuase it is on a Lake. I think it could make a great residential project. I am just not so sure Greer is ready for Condos yet, not on this side of town anyway. CDS still operates in the old Delta Woodside mill in Greer off Penn. Ave.
converse mill have any relation to converse college? btw nice publix! They are both in Spartanburg so I would assume they are names after either the same person or family. my mom went to converse college. class of 80. Interestingly enough yes. Dexter Converse founded Converse College along with his brother-in-law, Mr Twitchell (as in Twitchell Auditorium). These two men invested well and founded Glendale Mill and Clifton Mills 1, 2 and 3. The latter was renamed Converse at some point. Converse is found just upstream from Clifton on the Pacolet River. If you are diving aruond these two mill villages, you can see that it is more like one very large one. There was once a trolley system that served Clifton and connceted it to Spartanburg. The Converse College website won't talk about Mr Twitchell, but any local history book will. I am acutally a decendant of Mr Twitchell. I realize most of you probably don't care, but I think its kind of cool that my ancestor played such an integral part in the develpoment of Spartanburg. When I first started this thread I was thinking mainly of residential. But conversions to office and other use is just as interesting. And I can think of a few good examples in Greenville. One is the Legg Mason/ Guy Tanos building which I don't have an image of but I need to get one, it is a great looking building. Another is the Innovate building which is next to where Riverplace, it is a mixture of old and new and the building is really awsome on the inside. I'd say that any reuse of the old mills around here is worth knowing about. These mills get torn down way to easily. There is that one over in Greer that they are scrapping that could have been good for such reuse. Mills in more urban settings like that one in downtown Greenville, and the one near downton Spartanburg are better if used for business. I know that the one in Spartanburg is near some less than desirable housing, and its likely that not many people would want to live there. But working is a different story. I don't know if the victor mill was stable enough for reuse, I would assume it was. BUt there is alot of money in recycled timber and bricks. And that alone is a better use than just tearing it down. I think I would have liked to see the Victor Mill renovated, but I don't know if Greer is ready for that kind of living yet. As of yet there are only 7 exsisting or planned downtown loft apartments in Greer. And that alone is a better use than just tearing it down. Perhaps not. I've just grown more and more in favor of finding ways to preserve these mills, as they are an important part of the Upstate's heritage. We are quick to destroy old things in this country, and particularly in this state. We need a multi-county historical preservation society. This thread has kind of moved towards the current state of upstate mills. We have been talking about some of them, So decided since I go by many of these all the time I would take some pictures for you guys. 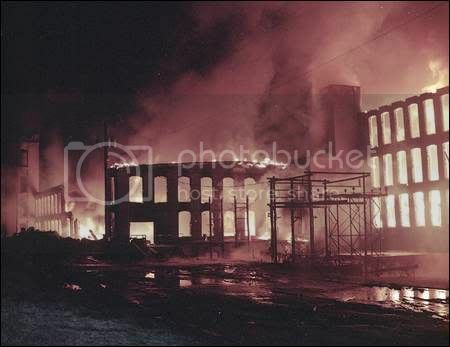 First one is Abney Mill in Woodruff. I really only bring this one up becuase I have it for sale and would like to sell it. So contact me if you are interested. 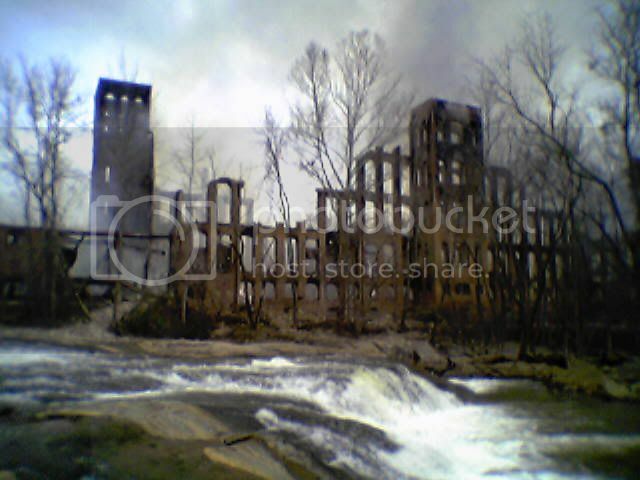 It burned down a few years ago and all that is reall left is the old mill office. and peice of the old mill which you can see from this angle. The shadow that is being cast is by a very tall smoke stack and the peice of mill left is home to maybe 40 buzzards or vultures not sure which they are. The next mill is the Apalache Mill, it is owned by CDS Esembles and is currently closed. They say temporarily. It is not very big, but it is on a lake, here is a view from the parking lot. The next one is Victor Mill which is being taken apart for its bricks and timber. This is a huge mill. HArd to convey how large it is. You will see from the photos that it is very large. But photos don't show what is missing. The tallest and one of the largest sections is gone and all that remians is the buttresses. What a shame. 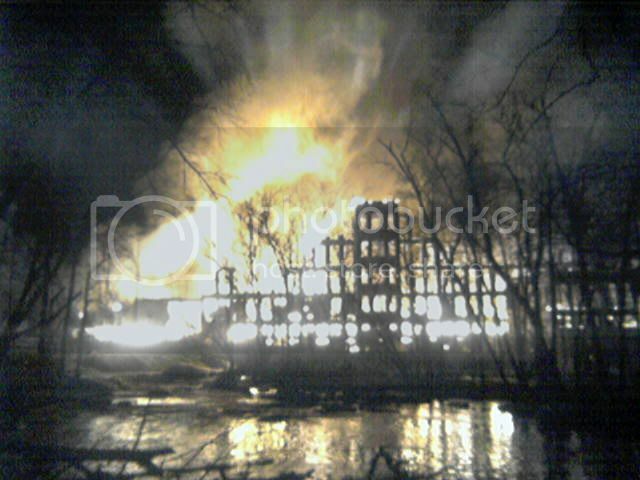 And the last one near by is the old Delta Woodside Mill of Penn. Ave. 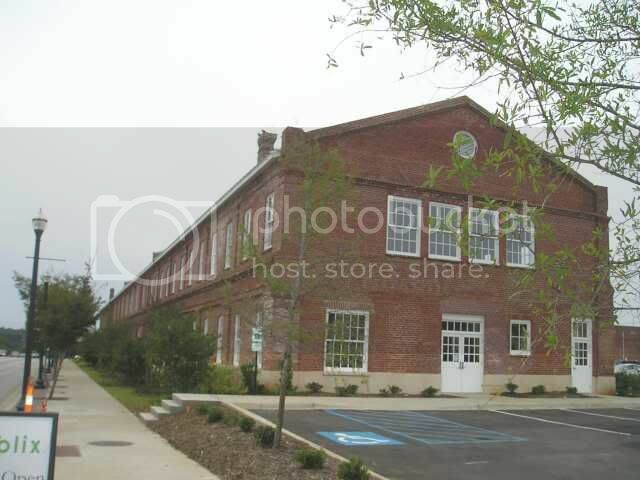 It is not as old as these others, it is still used as a textile mill today by CDS Ensembles. I think they make things like pillow cases, shams, and bed spreads. Wow thanks for the pics! That is a huge mill. It reminds me of Glendale before it was destroyed. In the new GSA Business there is an article titled "THe Year of Living Downtown" in mentions that in Simpsonville the old Delta Woodsides Mill is being converted to a mixed use project with Condos. That is an interesting article. I drive by the Mills Mill on Church St. frequently. It really seems to have people fascinated with the beauty of combining Contemporary with Antique in this area. I don't beleive that there are many condos left in that one. 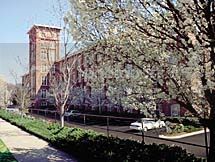 Someone mentioned that Greer might possibly get a remodeled mill facility. That would be an ideal addition to the current development/redevelopment going on in town. My favorite downtown remodel is the Gerard's restaurant. That guy is really nice and the building is a perfect example of one way to recapture the life and beauty of an old vacant box. Here's another GSABusiness article that you may have read before. I can't remember when it was written, but it shares our mindset on the preservation of these beauties.